Over the summer, artist-in-residence Mary Conroy has been casting moulds of the Shannon riverbed and mining clay from the brickfields of Coonagh. On Wednesday and Thursday this week and next, we will host drop-in workshops to reveal the watermarks, plant impressions and footprints left behind at low tide, and to create tiles for the new floor of the Museum of Mythological Water Beasts. 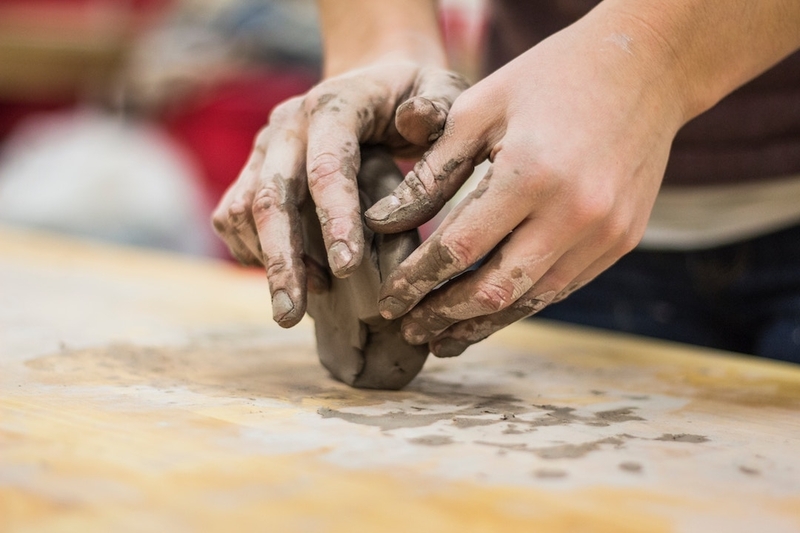 The workshops will allow the public to get their hands dirty and to learn millennia-old techniques of locating, processing and making ceramic objects from local clay. Drop in any time and have a go! Admission is free and all are welcome. Mary Conroy is interested in the relationships between ecological populations of the urban environment. Her work incorporates ceramics, installation, social practice and participation. She holds a B.A. and a M.A. from Limerick School of Art & Design and has exhibited in Ireland, the UK and Latvia. The Museum of Mythological Water Beasts is a multi-year project inspired by the River Shannon and the people of Limerick. We began with an open research process, working with catchment custodians – including artists, boat-builders, historians and scientists – to learn about the river. In 2018, we are returning indoors to develop a series of artistic commissions and exhibition-environments. Special thanks to archaeologist John Elliott for his assistance on the mining expeditions. The Museum of Mythological Water Beasts is kindly supported by the Arts Council of Ireland Visual Arts Project Award. Photo by Alex Jones.